As I sit down to write this article, I’m immediately distracted by an explosive opinion piece that has crossed my desk, requiring me to tweet excerpts to my followers. I’m also uneasy about the music coming from my Sonos speaker so I’m also on my phone searching for the right genre so I can concentrate. And as soon as I open up my browser, there’s one notification, then another, and, well you get the point. I’m not alone in this — you’re probably also thinking about checking Facebook, Twitter, Instagram, email, or Snapchat right now, aren’t you? It’s a struggle in which we are pulled in many different directions just to get things done. We celebrate it by calling it multi-tasking, but it’s really just distractions of the digital form and as much as we say it’s our life now, we’ve become subject to technology’s mercy and it’s impeding our productivity. When was the last time you followed through on your creative passions? Learning to play the piano, spending time writing a great blog post, making art, picking up a new skill, or any other endeavor? With all the pings, chats, texts, and alerts we’re getting, it can be hard to really concentrate on legitimately getting things done versus bragging about it as a social acronym (#GTD). In the last year, Facebook and other tech companies have promised ways to improve their social networks so users can go back to enjoying it like it was a decade ago — with fewer cases of harassment and a constant barrage of ways to connect with friends. Facebook, Instagram, Apple, Google, and others released a feature called Time Well Spent designed to make us conscious about our growing addiction. That’s great, but it only presented us with a metric, not how to overcome the problem. This is where the book “Lifescale” could be helpful in changing our obsession with tech. 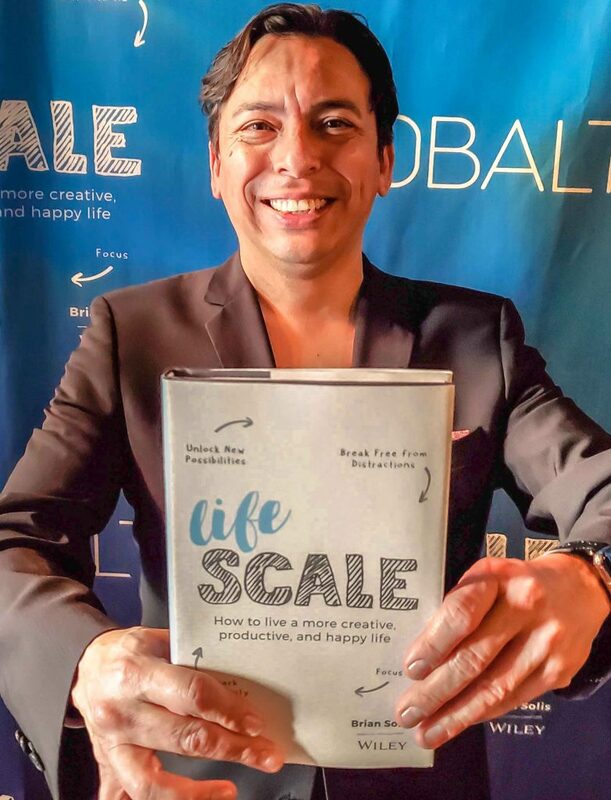 “Lifescale: How to live a more creative, productive, and happy life” is written by serial author and principal analyst at Altimeter Group Brian Solis. He describes his latest book as a “journey of self-discovery” which emerged from his efforts to write another tome. At 292 pages, “Lifescale” provides a psychological and sociological analysis at technology’s influence on us over the decades while documenting Solis’ efforts to reclaim his mind and creativity in order to compose his next book. Dive in — get to it! You won’t find your obsession with technology waning overnight, but you will walk away more conscious about ways you can counter its effect and go back to living a normal life before the promise of content, gossip, and entertainment became readily available on any screen in your house. And as befitting an analyst, Solis spends time throughout “Lifescale” helping readers analyze why digital distractions have become the norm of society. Digital distraction is not something we were prepared for. Generations of education, parenting, management, and absorbing everyday ethics and norms couldn’t have prepared us for the onslaught of information, showers of attention, celebration of self-interest and selfishness, and the flooding of egocentric emotions. We didn’t mean to become addicted. As with cigarettes in the early days, we didn’t understand that our digital indulgences were made to be additive, and we didn’t have information about the health effects — on our bodies, emotions, and psyches. 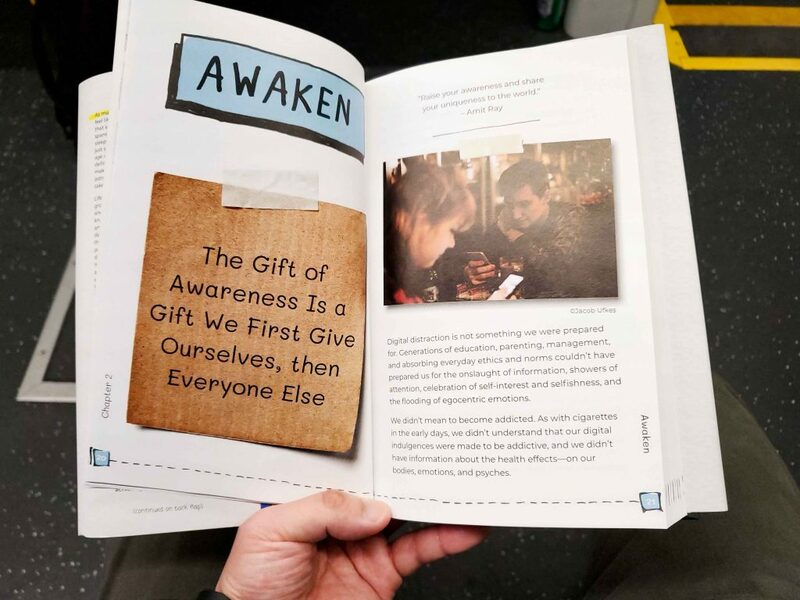 The total addressable market for the attention economy is huge and with services like Facebook, Twitter, YouTube, and Netflix, the only thing in technology’s way is sleep. Netflix chief executive Reed Hastings even said as much in front of shareholders, which reminds me of The Simpsons episode where Mr. Burns tries to block out the sun. Solis takes to task social networks and apps for their addictive nature. From what psychologists call intermittent variable rewards (trying to “win” something when you open your favorite app, check your email, endlessly scroll or swipe) to social reciprocity (complimenting someone back or wishing them a happy birthday, liking their post, commenting on a photo, etc)., the anticipation of a notification or refreshing of a news feed in order to find the latest posting can be harmful to us. While things may look dire, Solis suggests our focus can be repaired and the rest of “Lifescale” offers some pragmatic approaches to restoring our attention span and shifting our thinking to one of creativity versus having a Pavlovian response to every ding we hear or red notification that flashes on the screen. Ultimately Solis hopes that our mind will be set to enjoying life and banishing that annoying FOMO (“Fear of Missing Out”) feeling from our psyche, replacing it with being present where we are and doing what we’re passionate in. You were not put on this planet to validate your existence through the false validation of strangers. You are more important, able, and beautiful beyond any number of likes, comments, or followers can attest. You can find a new path by living your life as if no one is watching. “Lifescale” is a bit of a departure from previous books written by Solis — “Engage“, “The End of Business as Usual“, “What’s The Future of Business?”, and “X: The Experience When Business Meets Design” are largely tailored towards businesses and incumbent enterprises. Those readers are interested in transforming themselves digitally to adapt to the changing economic landscape. On the contrary, “Lifescale” is written for the everyday person as we’re all inundated by technology. It might seem unclear why Solis is appropriate for this subject, but after spending decades as an analyst observing the changing technology ecosystem and also as a self-described digital anthropologist, it’s an area where he might be able to offer some poignant thoughts on the impact of tech in our lives. 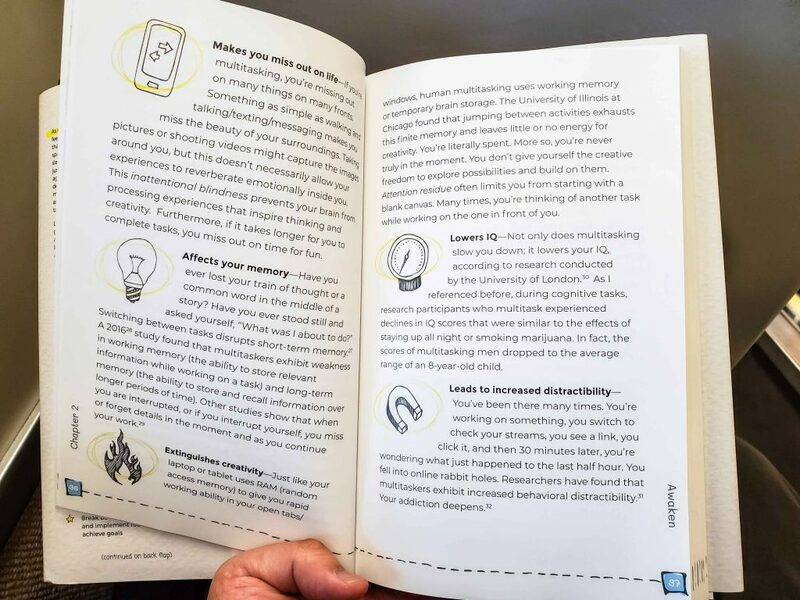 The book is well-written and designed in a way that doesn’t feel boring and stodgy. It’s presented in a manner that lets you move quickly through while sharing some helpful exercises that you can do in your spare time. It reminded me of a college textbook, but without the worrisome anxiety of being tested on the knowledge later. Solis has inserted “highlights” around key quotes and findings so you won’t miss any important observations. Some may think that “Lifescale” is calling for the abolishment of technology, but that’s doesn’t seem to be the case based on my reading of the book. Rather, my interpretation is that Solis wants us to continue embracing technology, but to do so gently and with more of a focus on our well-being, not on the need of being present. The services of Facebook, Twitter, Apple, Google, Netflix, and Amazon still serve a purpose, but it doesn’t have to come at the cost of our creativity or health. “Lifescale: How to live a more creative, productive, and happy life” is available now on Amazon and in bookstores.